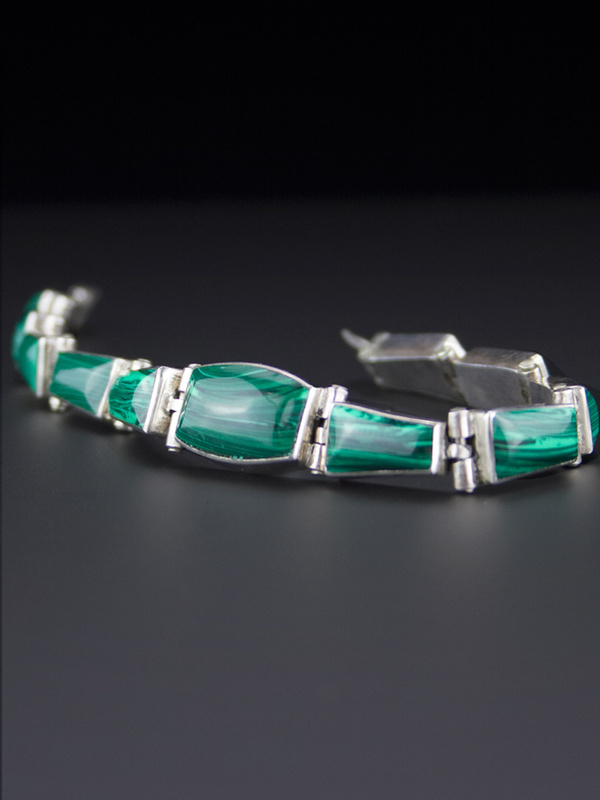 Spectacular deep green malachite bracelet. 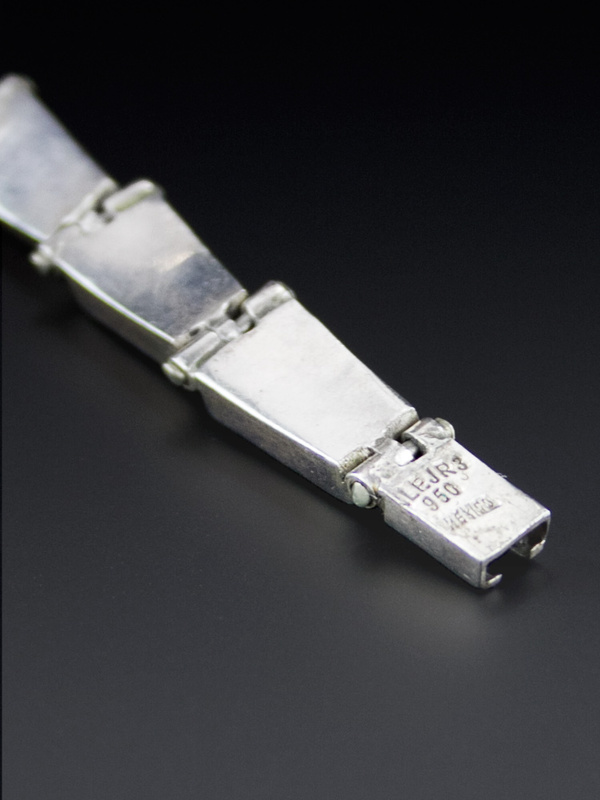 Made in Taxco, Mexico, circa 1980's, this fine silver (950 - higher than sterling) link bracelet is handcrafted. Eleven graduating links of polished, smooth bezel set malachite. 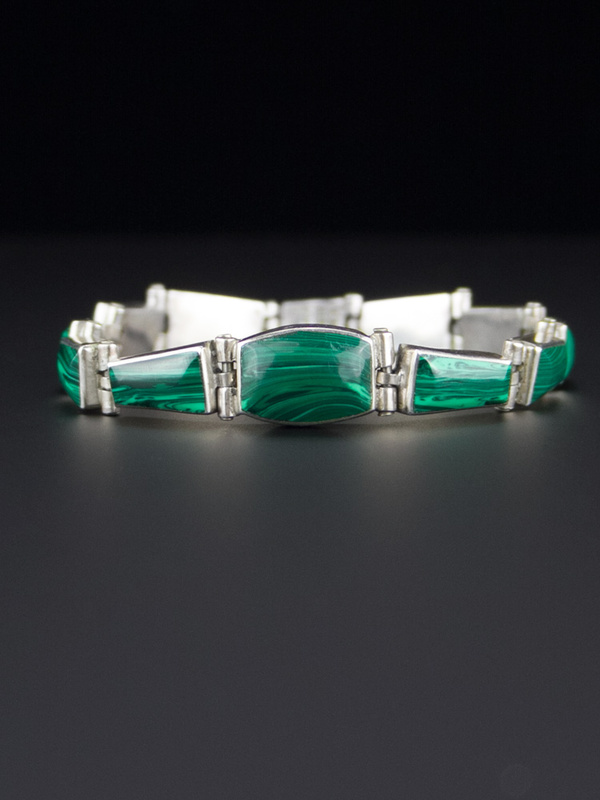 The links allow for a lovely curve around the wrist, box clasp, and luxe green banded malachite - spectacular vintage bracelet. There is a matching Mexican malachite necklace available. Spectacular vintage condition. Shows mild wear commensurate with age, very minor evidence of wear to one stone, no chips, will come with some patina, as level of polish is a matter of taste. 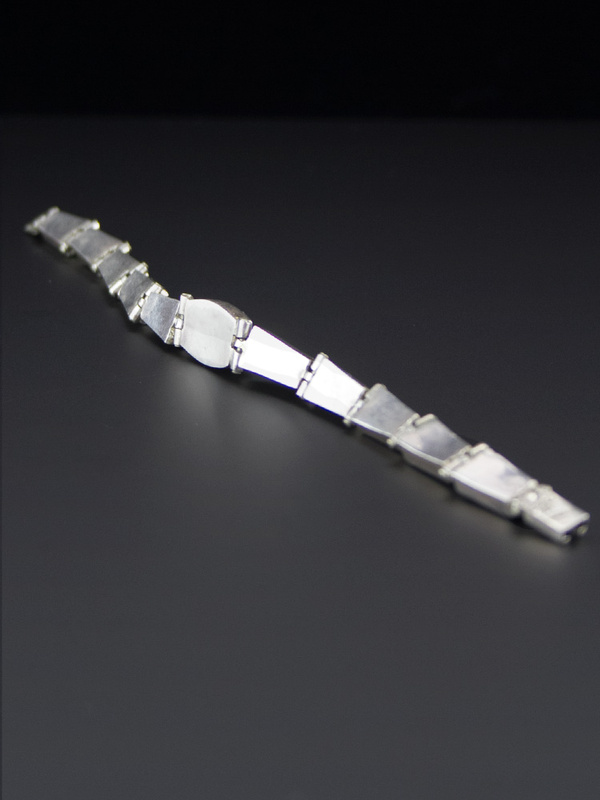 Has a handcrafted look to it - amazing vintage bracelet.